ACREW returned to Compositeworks this Winter for two days of learning and knowledge sharing. Demonstrating a commitment to crew and crew learning, the exciting two day event was packed full of invaluable workshops for all departments. It was a great opportunity for crew to meet fellow crew in the yard over lunch, a workshop or a happy hour, as the Winter season approached. The Crew Challenge Trophy has also been up for grabs, as the event finale saw yacht teams pit their wits and more against each other in a pub quiz challenge with a difference! Just by showing up 20€+ were raised for the Sint Maarten fundraiser! This event was dedicated to continuing that support by raising money for causes helping the people of Sint Maarten out in these hard times. 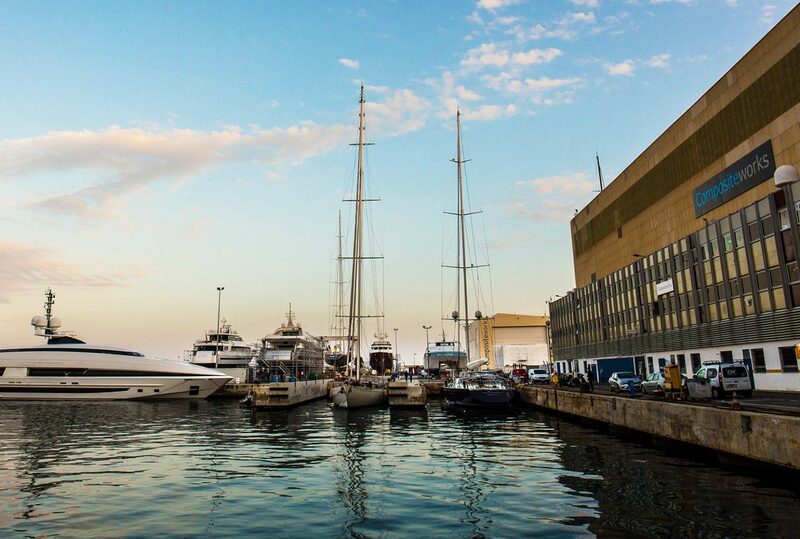 Our last event in Astilleros Shipyard, Palma de Mallorca, raised over €3,000. Thanks to our partners JOTUN, Liquid Yacht Wear, MedAire, Nautiel Service, RoamingExpert and UAM for their generous support. ACREW was also providing some sound one to one advice from a range of experts on important personal Superyacht topics. From financial planning, job interview advice to mobile tariffs you can book your consultations.